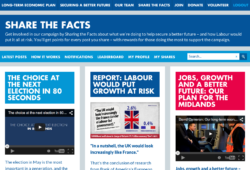 Home » Posts tagged "Competence"
Via sharethefacts.conservatives.com, “the choice at the next election in 80 seconds”: The election in May is the most important in a generation, and the choice couldn’t be clearer. It’s between the competence of the Conservatives, with a long-term economic plan that is securing a better future for Britain – or the chaos of a weak Labour leader propped up by who-knows-what minor party. You can join Wycombe Conservatives or donate here. Comments Off on Well done BT! We have moved house every two years or less for as long as we have been married. For the first time (IIRC), today, BT swapped our phone line and broadband within a few hours on the specified day. And I only had to make a single journey through a labyrinthine telephone system. Who would have thought it? Tags: BT, Competence, Who would have thought it?